Small improvements in deliverability can make a significant impact to the success of your email program. Improving your inbox rate by just 1% means more customers are seeing your emails and can take action on them, leading to increased opens, clicks, and conversions. How much email do you send each month, on average? What percentage of your email makes it into the inbox? The industry average is 82%. What’s your average unique open rate? The industry average is 17%. What’s your average unique click rate? The industry average is 3%. How much total revenue do you generate from email each month? Here’s what a 1% improvement could do for you. By following best practices and choosing a reputable ESP, many senders (like you!) can increase their delivery and inbox rates. Just a 1% improvement to your inboxing rate (moving it from 82% to 83%) would get 1,000 more emails to your customers each month, 140 more opens, and 50 more clicks. That’s another $244 in revenue every single month. Now that’s something to think about. And we can help. Get more emails to the inbox. 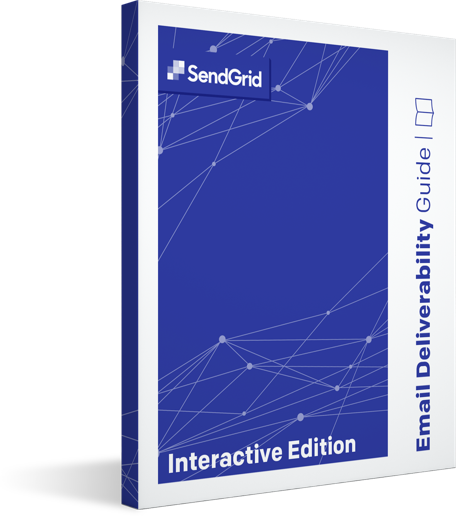 With our interactive guide on email deliverability, learn about industry best practices for getting to the inbox and reclaiming your lost opens and clicks.